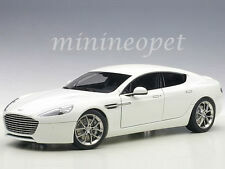 Aston Martin DB9 Coupe facelift in 1:18 by Welly. SCALE 1/18. Model is in very good condition, lots of details as shown. Only taken out of the box once. 2018 HOT WHEELS. HW EXOTICS 5/10 - #117. ASTON MARTIN ONE-77. Highly Detailed inside with seats and steering wheel. Hot Wheels Zamac 2011 Aston Martin One - 77. Rare,NM,HTF! '18 HW Exotics #5/10. 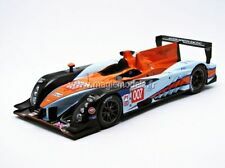 Hot Wheels Zamac 2011 Aston Martin One - 77. Rare, near mint card. Extremely hard to find. 50th Anniversary Edition. "L" Case. Black Malaysia base. Rare Zamac finish with black stripe. Smoked glass. Black interior. Chrome Wheels. Awesome details. '18 HW Exotics Series #5 of 10 cars. Zamac #009. Check out my other diecast. Will combine shipping at $1 per extra car. Please pay within 3 days. New cars daily. Thanks for looking. - This was in storage, so the clear plastic on the box is scratched and has some dents. Has been opened but never taken out. One of the tapes has separated (Shown in picture). Some dust has got in but otherwise, the car is in great shape. 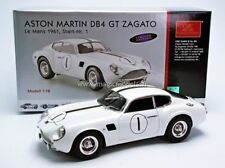 Road Signature Aston Martin 1961 DB4GT Zagato 1:18, Green . Condition is Used. Shipped with USPS Priority Package. (1) - Aston Martin DB10. Pop Culture / Retro Ent. Item may show signs of shelf wear which may include light creases/scratches on front/backside of card, soft/creased corners and light dents on blister/bubble. 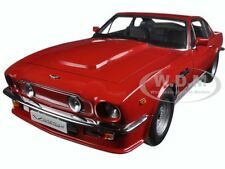 Hot Wheels 2005 Aston Martin V8 Vantage. Rare,HTF! Hot Wheels Stars Series. Hot Wheels 2005 Aston Martin V8 Vantage. Rare, extremely hard to find. "N" Case. Black Malaysia base. Rare silver metallic paint. Black glass. Black interior. Chrome 5 star wheels. Awesome details. '08 Hot Wheels Stars Series. Collector number 050/172. Bottom corners have some damage. Check out my other diecast. Will combine shipping at $1 per extra car. Please pay within 3 days. New cars daily. Thanks for looking. 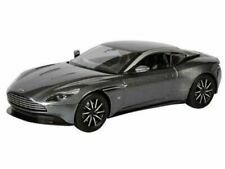 HOT WHEELS 1/64 RETRO JAMES BOND 007 SPECTRE ASTON MARTIN DB10 NEW. Condition is New. Shipped with USPS First Class Package. Hot Wheels 2010 Aston Martin DBS. Rare,HTF! '13 HW Showroom: Asphalt Assault. Hot Wheels 2010 Aston Martin DBS. Rare, extremely hard to find. "N" Case. Black Malaysia base. Rare white enamel paint. Blue glass. Black interior. Chrome 10 spoke wheels. Awesome details. '13 HW Showroom Edition. Asphalt Assault Series. Collector number 153/250. Check out my other diecast. Will combine shipping at $1 per extra car. Please pay within 3 days. New cars daily. Thanks for looking. ASTON MARTIN 1963 DB5 = BLACK. ~~ 2016 HOT WHEELS ~~. COLLECTOR #101 "THEN AND NOW". Drivers were Shelby and Salvadori, #5. v TMC114 READ . For more than a quarter century, Replicarz has been family owned and operated. Not intended for children under 14 years of age. Danbury Mint 1:24 | BRAND NEW IN BOX |VERY VERY HARD CAR TO GET IN SILVER. Aston Martin DB5 | James Bond 007 | Goldfinger. Condition is New. Shipped with USPS Priority Mail. Great item for your collection. 2015 Hot Wheels PORSCHE 934 TURBO RSR 220/250 Garage LOOSE Black. FREE Trial! Slight crease can be seen in pic 1 and in pic 4 up by H32. 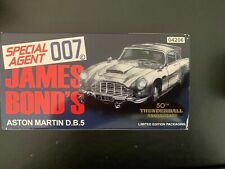 1/64 Scale James Bond 1963 Aston Martin DB5 - Gorgeous - Hot Wheels. Condition is Used. Shipped with USPS Priority Mail. 1963 ASTON MARTIN DB5. HOT WHEELS RETRO. NEW GOOD CONDITION CARD. ASTON MARTIN DB5 1963. HOT WHEELS RETRO. NEW NEAR TO MIN CONDITION CARD. 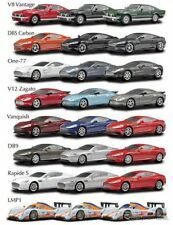 This list is for a lot of 9 1:43 diecast by Vitesse. The Mitsubishi Pajero and the Aston Martin are in very nice shape with no cracks in the acrylic cases. A few have the screw missing that holds the car to its base. 1:18 Minichamps Aston Martin DB9 - AM Racing Green Scale Car Model Diecast. Condition is New. Shipped with USPS Priority Mail. Very nice condition, never took out of the box. BLISTER: GOOD TO NEAR MINT. HOT WHEELS. CARD:GOOD TO NEAR MINT. CARS: GOOD TO NEAR MINT. Condition: New Sealed in Box. The car is mint in a very near mint to mint card. It is an Aston Martin VANQUISH S in Kopi Bronze, 1/18 scale (70273). As you probably know,AutoArt models have an incredible level of detail and are highly collectible. 2016 Hot Wheels Aston Martin DB10. Card is in excellent condition. 1 PC Aston Martin DB5 Diecast- Silver. 1:38 Scale, Pull Back Action, Doors Openable. Item must be New and Unused in original factory condition. Aston Martin. Hot Wheels. Then & Now. Condition of Item. 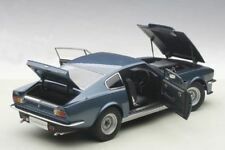 It is an Aston Martin VANQUISH S in Ming Blue, 1/18 scale (70274). As you probably know,AutoArt models have an incredible level of detail and are highly collectible. hot wheels exotics 16 Lot . Condition is New. Shipped with USPS Priority Mail. Autoart ASTON MARTIN VANQUISH S 2017 LIGHTNING SILVER 1/18 Scale New! In stock!